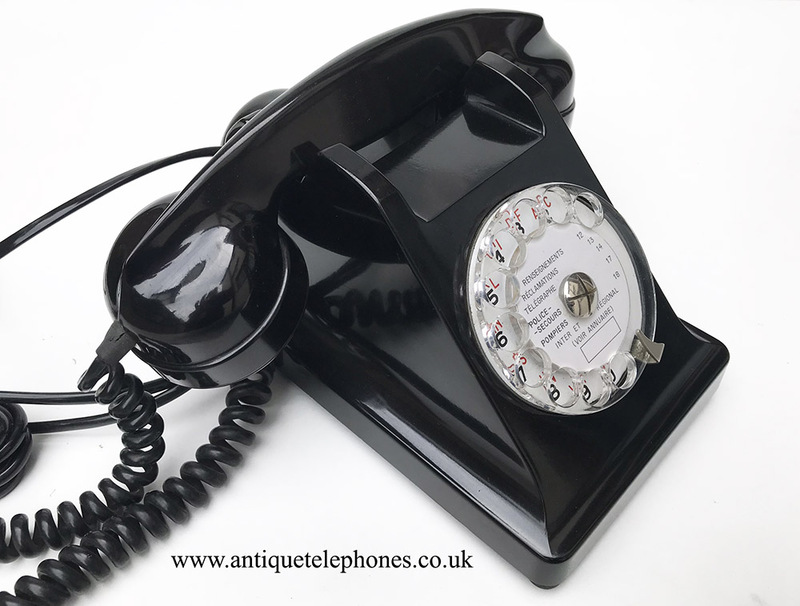 A lovely example of a genuine French Bakelite telephone. 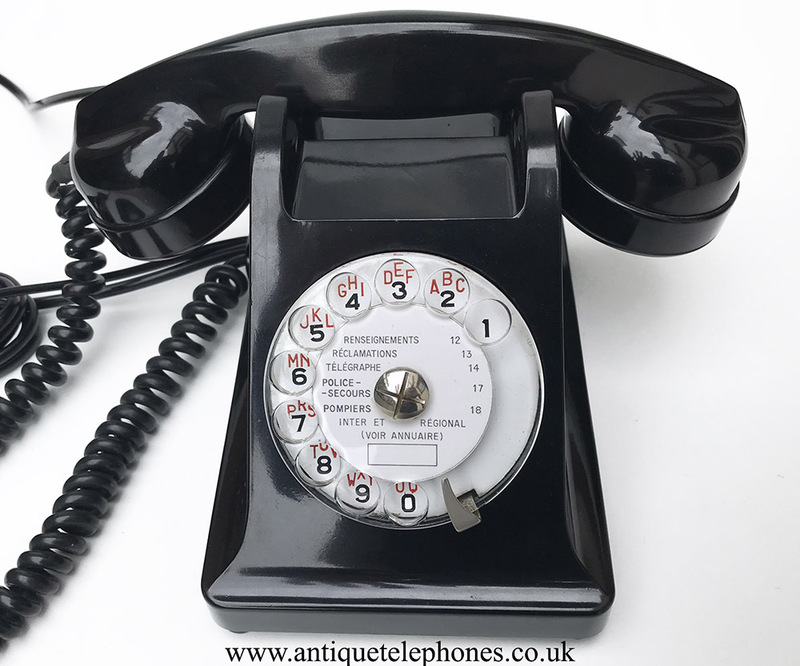 This is a wonderful little telephone designed in 1943 and manufactured into the 1960s. This model would have been used in conjunction with a separate bell set and so I have fitted a small bell inside to allow stand alone use. This one has a spare earpiece fitted to the rear which can be slotted back into its metal holding bracket when not in use. If you are in a noisy environment or your hearing is not 100 % this really helps if you use both. 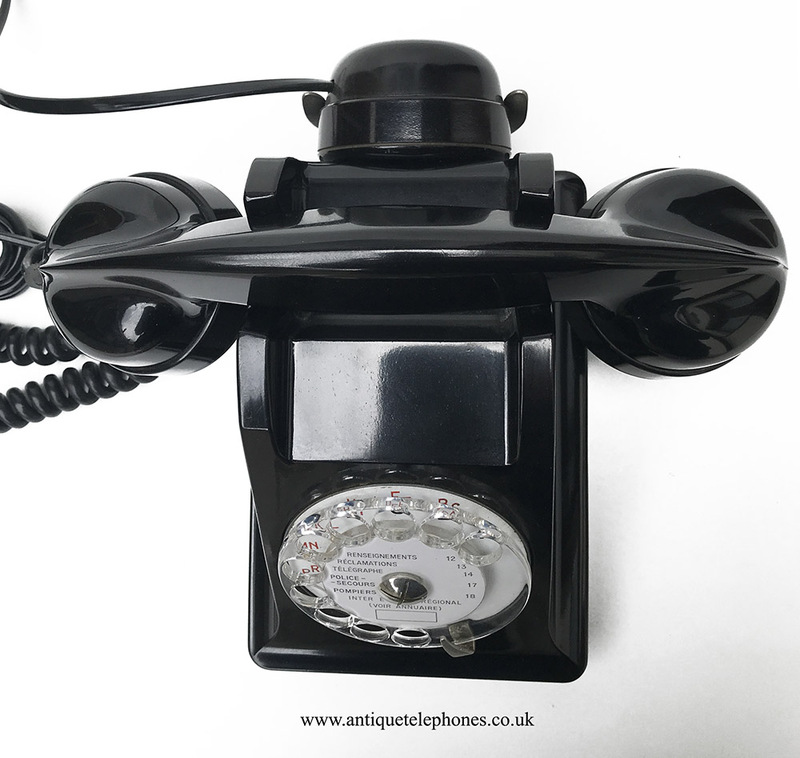 I have fitted an electronic microphone and a plastic curly handset cord and black plastic lead to the extra ear piece. This telephone has been fully tested and ready to plug in and go. 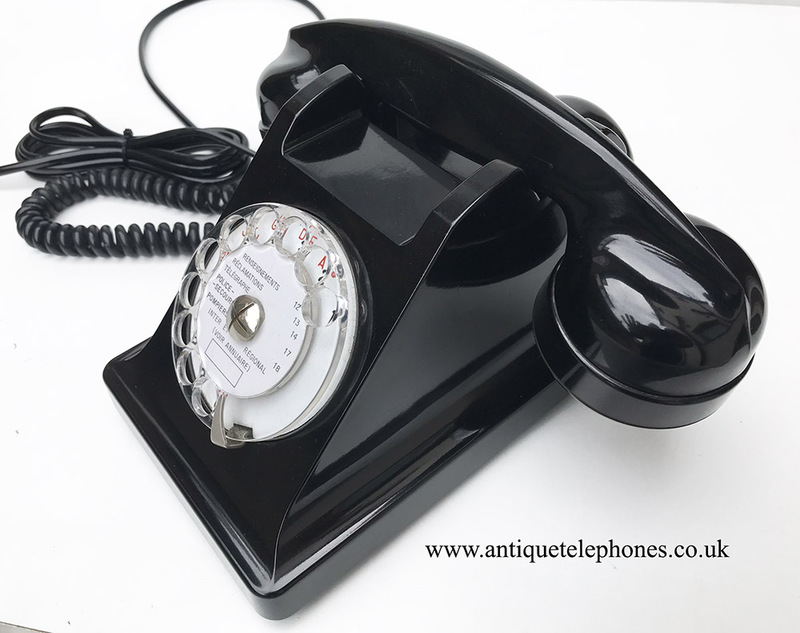 One thing to note is when using the beautiful original alpha numeric dials they are not as good as the GPO ones and so although fully working and tested here may misdial on occasions. This model takes an age to restore properly as a lot of time goes into the modifications and wiring etc. I don't often get time to spend on these and so not often available.